MGM Lion Jerry. Jerry acting like Leo the Lion in MGM's logo.. Wallpaper and background images in the Tom and Jerry club tagged: jerry tom and jerry mgm lion spoof. 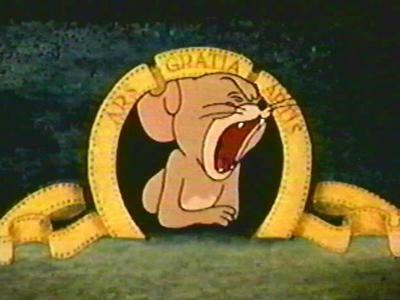 Jerry acting like Leo the Lion in MGM's logo. From the ending of "Switchin' Kitten". This was directed by Gene Deitch. Tom and Jerry Funny Remix!